Big Blue is ramping up its collaborations with a number of open source companies. IBM is aiming to simplify the movement of data, applications, and services across hybrid cloud with the launch of a cloud-ready system. The latest offerings will be; Power Systems for cloud, z Systems for cloud, and IBM Spectrum Copy Data Management and Protect. The Power Systems offering will be able to integrate with OpenStack cloud management and elastic consumption models and will offer the ability to move IT infrastructure to a local cloud. Users will also be able to tap into IBM i and Linux workloads. The second system will be z Systems for cloud with the IBM z Systems Operational Insights, dubbed a new SaaS-based offering that will provide analytic insights on cloud operations, the aim of which will be to increase levels of efficiency and application performance, the company said. Big Blue is also offering IBM Spectrum Copy Data Management which is aimed at driving operational and development agility and efficiency across both new and traditional applications. The offering has also been expanded to integrate with cloud object storage options for use in hybrid cloud. 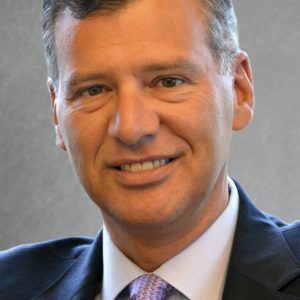 Tom Rosamilia is Senior Vice President of IBM Systems. To coincide with Big Blue’s continued drive towards a hybrid cloud based world, the company and Red Hat decided to extend their collaboration. The two companies are planning to deliver solutions which will see Red Hat solutions appear on the next generation of Power Systems. The collaboration will also introduce some new high performance computing capabilities for research deployments, and they will work on developing high availability capabilities for Power Systems. With partnerships in mind, the company has revealed work it is doing with a number of companies. First of all it is planning to make the Hortonworks Data Platform available on its Power Systems, which will allow Power8 users to support a broader range of applications. Big Blue is also collaborating with Canonical, Mirantis, and NIGNX. Work with Canonical will see the extension of their alliance that will make Ubuntu OpenStack available on LinuxONE, z Systems, Power Systems, and OpenPOWER-based systems. Mirantis and Big Blue are collaborating to develop reference architectures that will enable Mirantis OpenStack to manage compute nodes hosted on IBM Power Systems servers. The announcements were made at its Edge conference being held in Las Vegas between September 19th and 22nd.